three boys wearing spiderman shirts...and lincoln. always the man with his own mind, right? not this time. 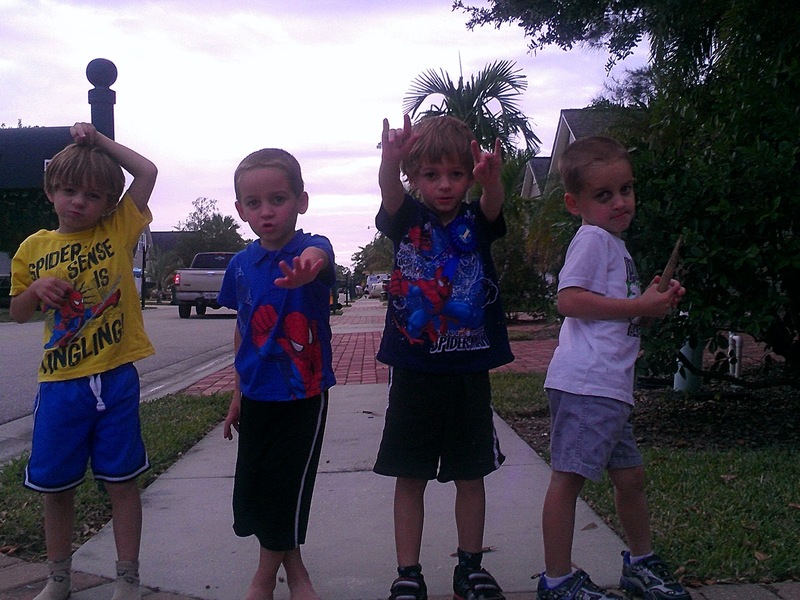 we only own three spiderman shirts to share among four boys. lincoln had one on this morning - before landon declared that he wasn't going to wear a "regular shirt" (of course as we were getting into the car). drew in all his wisdom paid lincoln 25 cents to give his shirt to landon. good parenting, i don't know... but we got to work on time. in this video, landon is clearly happy about his shirt.